Researcher Profiles increase the visibility of authors online, help you claim your publications, maintain an accurate citation count, and will save you time throughout your research workflow. 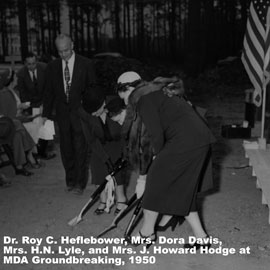 There are many unique researcher profile tools for authors, institutions, and NIH reporting. ORCiD is a unique author identifier which helps you claim your publications. 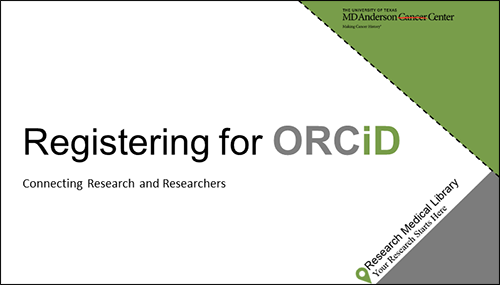 Create a free ID and incorporate your ORCiD into your research workflows to receive credit for your work. 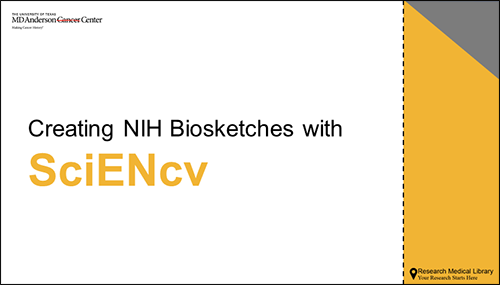 SciENcv is used to create a public or private online profile which can be quickly downloaded for NIH biosketch reporting. 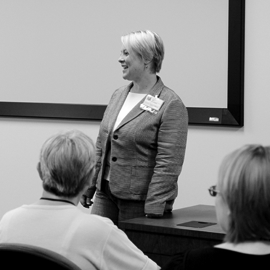 Pure is an MD Anderson faculty profiling tool. Profiles include publication lists, Altmetric scores, citation counts and h-indexes. 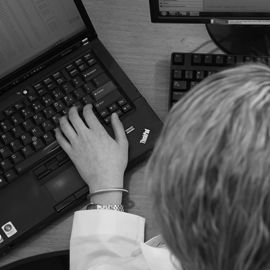 Pure profiles are created from Scopus Author profiles. Authors can create public Google Scholar citation profiles to track publications and review citation counts over time. Google Citations makes authors searchable through Google Scholar.